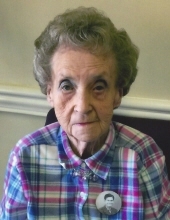 Doris LaVerne Shively Pile, 90, of Elizabethtown passed away Friday, February 1, 2019, at Magnolia Village in Bowling Green. A beloved wife and mother she was also known to be a fierce protector of her family. She was a charter member of College Heights United Methodist Church, where she was very active in many aspects including women’s missions, a youth leader and a Sunday School teacher to name a few. After moving to Bowling Green she began to attend White Stone Quarry Baptist Church. She was very active in the lives of not only her children, but also the many children in her community, who she lovingly nurtured. After her husband’s retirement they loved traveling in their R.V. and visiting 48 of the 50 states and stopping at as many Major League Baseball parks to watch games. She was preceded in death by her husband of 65 years, James Maynard Pile; her parents, Howard Frank and Hazel Mae Brown Shively; a brother, Howard Shively, Jr. and a son-in-law, Randy Harper. She is survived by two sons, Jim Pile (Debbie), Dan Pile (Jennie); one daughter, Carolyn Gifford (Jim); nine grandchildren, Jeff Pile, Janae Pile Bell (Jason), Josh Pile (Renee), Lindsay Bragg (Andrew), Emily McKemy (Dan), Brian Perryman, Laura Davis (Jered), Brian Gifford and Ben Gifford and fourteen great grandchildren. Funeral services will be 1PM Tuesday, February 5, 2019, at Dixon-Atwood & Trowbridge Funeral Home with burial to follow in the Elizabethtown Memorial Gardens. Visitation will be from 4-8PM Monday, February 4, 2019, and after 11AM Tuesday at the funeral home. Dixon-Atwood & Trowbridge Funeral Home in Elizabethtown has been entrusted with the arrangements. To plant a tree in memory of Doris LaVerne Pile, please visit our Tribute Store. "Email Address" would like to share the life celebration of Doris LaVerne Pile. Click on the "link" to go to share a favorite memory or leave a condolence message for the family.